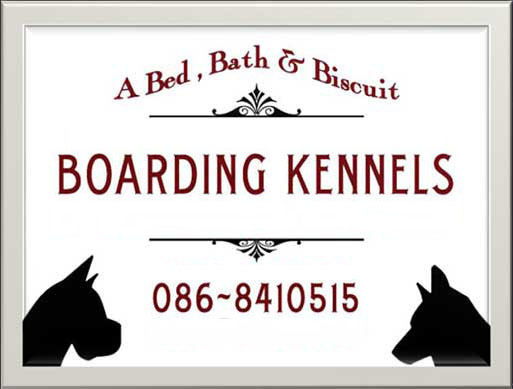 A Bed Bath & Biscuit is a great place for doggie day care and boarding your dog in Youghal, Co. Cork. 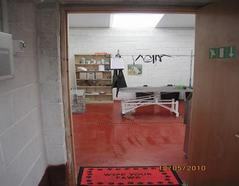 Your dog will be cared for in a loving and professional manner and have a fun and safe place to stay. So while you are on a short trip or vacation let your pet go on their own vacation. 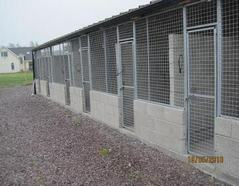 Our kennels are newly constructed and comprise of only 12 individually heated kennels to ensure that each dog boarded with us is guaranteed individual attention. 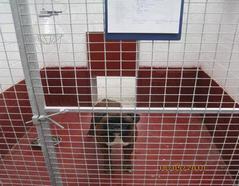 Each dog is individually cared for in a secure kennel (at the request of owners dogs from the same household can be accommodated together). 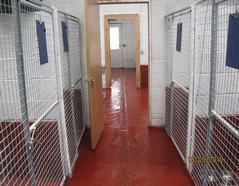 Individual kennels are spacious and easily accommodate large dogs. We offer the finest quality facility and services available for your pet. We maintain the highest standards, codes and procedures relating to health, safety and cleanliness at our facility. 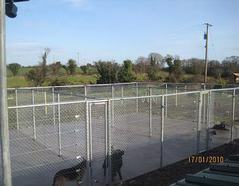 There are currently no regulations in Ireland for boarding kennels, our kennels have therefore been constructed to UK regulations with full planning permission and fire safety certification. 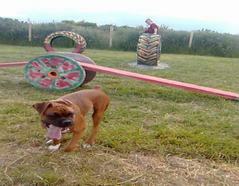 Our aim is to make your dog’s stay with us as enjoyable as possible. We fully appreciate that your dog is a part of your family and we will treat them as such in your absence. Dogs are walked twice daily and also have the use of large exercise runs during the day along with our doggie playground. 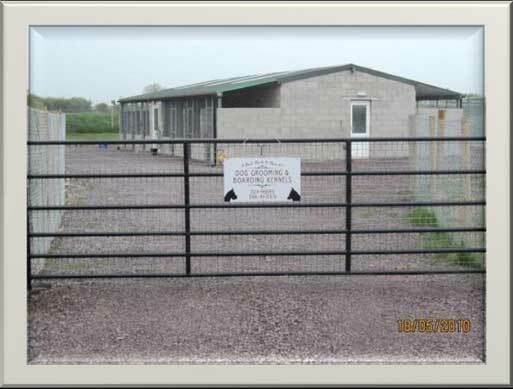 Our kennels are situated directly behind our family home for added security in a peaceful rural setting surrounded by acres of green fields. 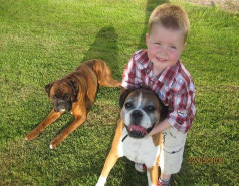 We are dog lovers with Boxers who live and sleep indoors with us so we appreciate how anxious owners are when having to leave their animals for any length of time. 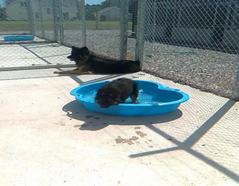 We guarantee plenty of interaction and individual attention while your dog is boarded with us. We have a warm heart for cold noses! Veterinary bedding is provided for all dogs to sleep on as it is extremely hygienic and prevents fleas etc but you are welcome to bring your dog’s favourite blanket or toy when boarding to help them feel at home. 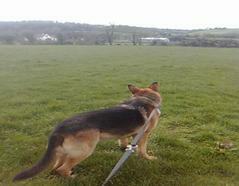 €14.00 per dog per day. Discounts apply if boarding more than one dog. All dogs need a current vaccination certificate to include kennel cough to ensure the safety of all dogs boarded with us. “He is your friend, your partner, your defender, your dog. You are his life, his love, his leader. He will be yours, faithful and true, to the last beat of his heart. You owe it to him to be worthy of such devotion”.